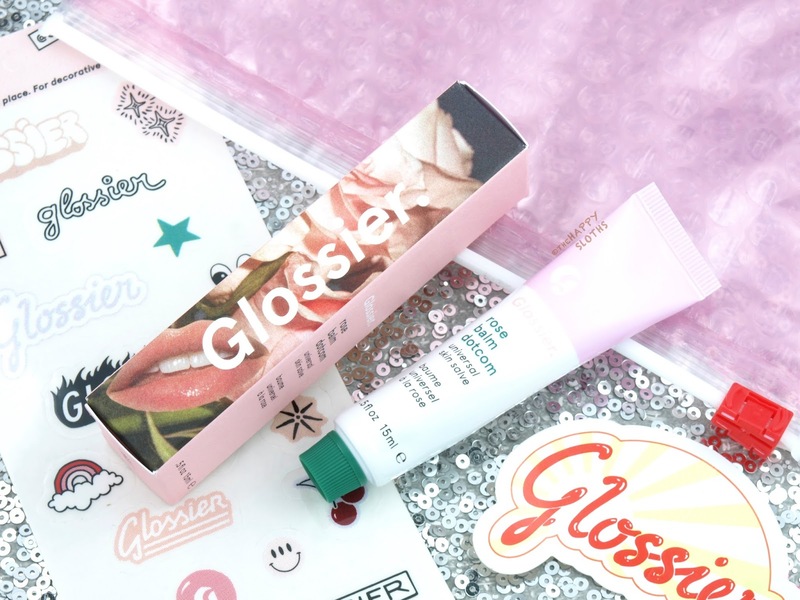 The Glossier Balm Dotcom is a multi-purpose, petrolatum-based skin salve that's formulated with castor seed oil, beeswax, lanolin, and cupuaçu butter with a dash of various herbal extracts (rosemary, rice, sunflower). 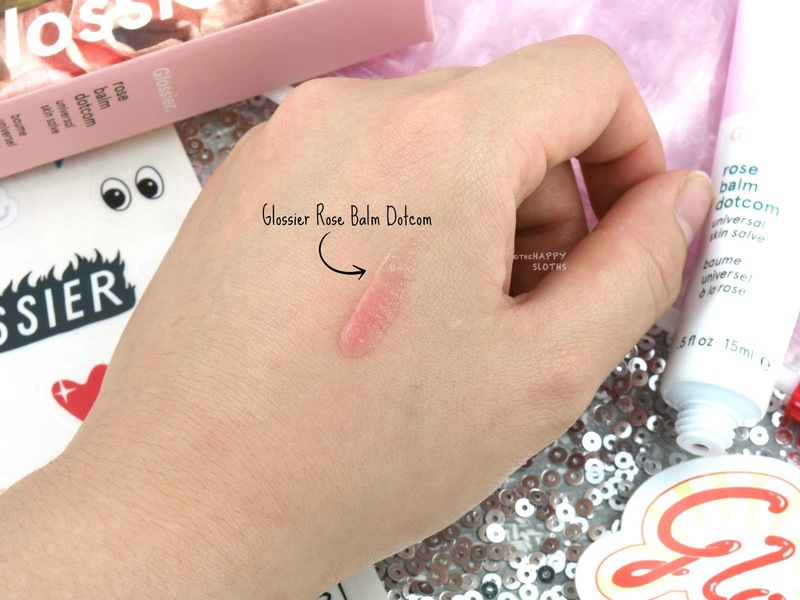 The product is available in several flavors and I have here the "Rose" version, which has a barely there pink tint that's virtually non-detectable once blended out. Packaged in a plastic squeeze tube with a simple flat nozzle dispenser, Rose Balm Dotcom supposedly has a "sugary sweet" rose fragrance but I can honestly detect only a weak herbal scent. In terms of formulation, Balm Dotcom is almost identical to the Jack Black Moisture Therapy Lip Balms, which have consistently been my favorite lip balms for the past few years. The thick and emollient texture is super nourishing and long-lasting on the lips but I personally find it a bit too thick and heavy to use on any other part of the body or face (with the exception of the cuticles or a very dry patch of skin, if I'm in a hurry). In terms of pricing, these are a lot better than the Jack Black lip balms ($15 for 15ml vs $9 for 7ml) but I do wish the dispenser had a smooth slanted design for easy application on the lips. Overall, though, this is an excellent product if you are looking for a cheaper alternative to the Jack Black lip balm that's a little fancier than just Vaseline. Glossier | Generation G Lipstick in "Crush"
A six-shade sheer matte lipstick range, the Generation G Lipsticks feature a lightweight formulation with a natural matte finish. I have here the pinky red color called "Crush", packaged in a simple and slim white plastic tube. 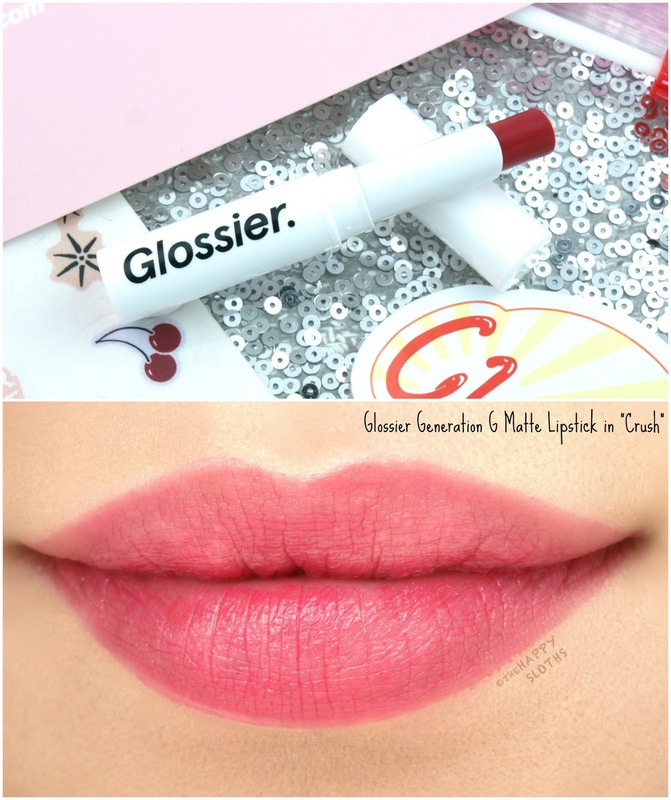 The shade is definitely super fresh and pretty but the formulation is disappointing. The color is incredibly patchy and clingy. The sheer pigmentation immediately settles into the fine lines of the lips, highlighting any and every dry patch in the way. The finish is visibly uneven as you can clearly see in my lip swatches below and this is after I prepped my lips thoroughly before hand. The wear isn't drying per se but the obvious silicon-y finish feels a bit uncomfortable on the lips. 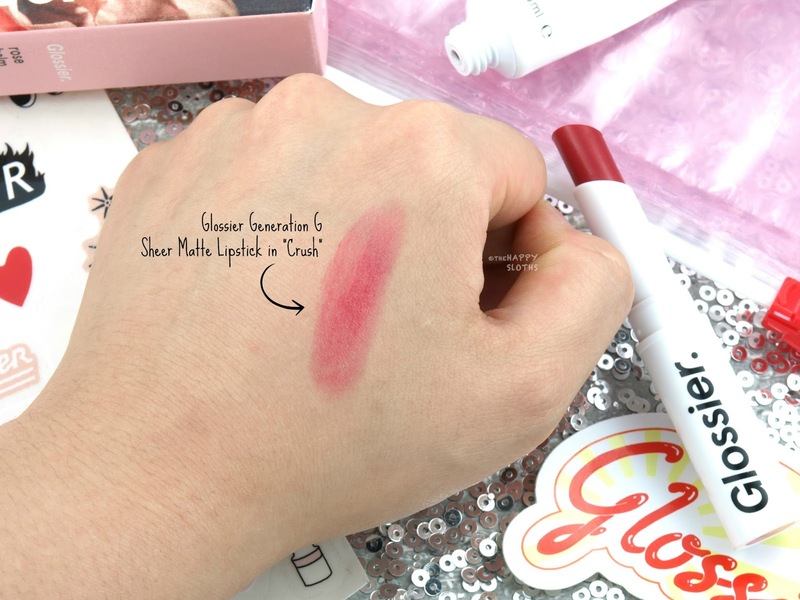 Overall, I like the idea of a sheer matte lipstick but the execution of the Generation G Lipstick is not great. So what are your thoughts? 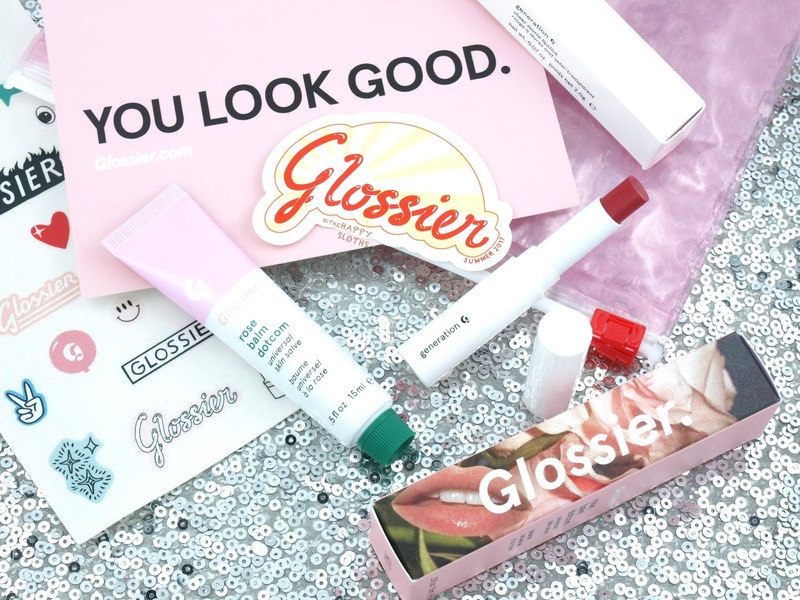 Have you tried anything from Glossier yet? Let me know in the comments below!